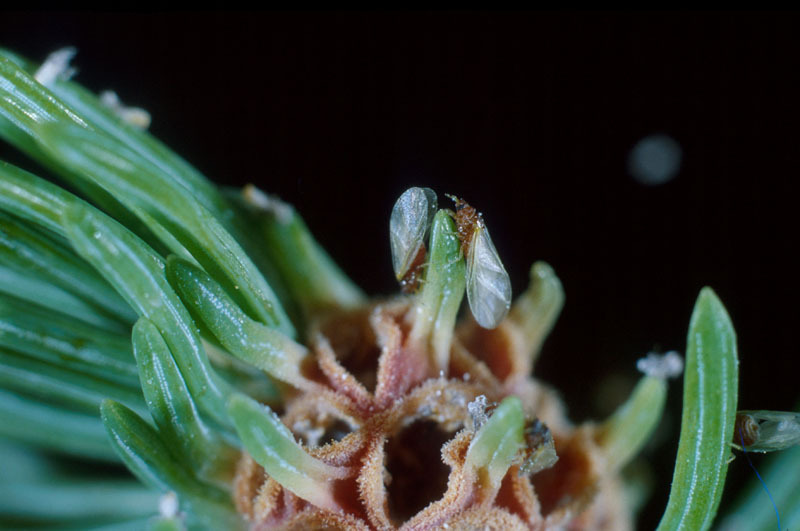 The damage caused by this insect consists of gall formation on annual shoots. In spring, the older nymphs, which have overwintered, are transformed into wingless adults and deposit their eggs near the buds. 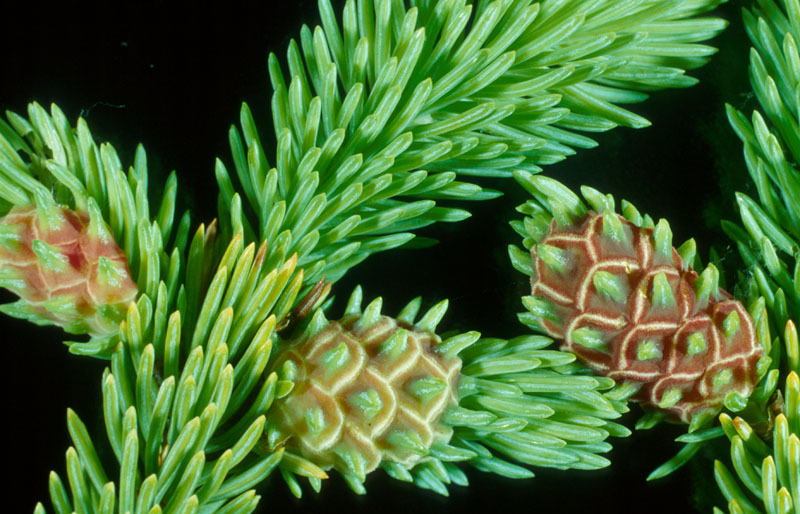 As a result of the stings from young, freshly hatched nymphs, the new needles become enlarged and form a pineapple-shaped gall. The gall is initially light green in colour with red spots, and turns brown and dries out at the end of the summer. The presence of galls causes distortions of the twigs and the crown ultimately becomes misshapen. In some cases, the tree may die after a few years. The adelgid produces two broods per year and all individuals are females. Over the summer and until fall, the cells in the gall open up and the nymphs emerge and change into winged adults. The latter deposit their eggs, which are coated with a mass of stringy wax, near the next season's buds. 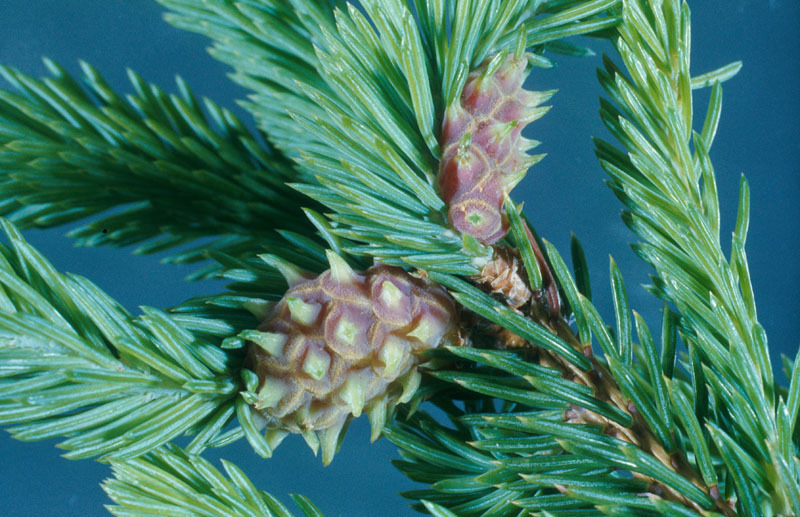 The nymphs that hatch from these eggs overwinter at the base of needles and buds. 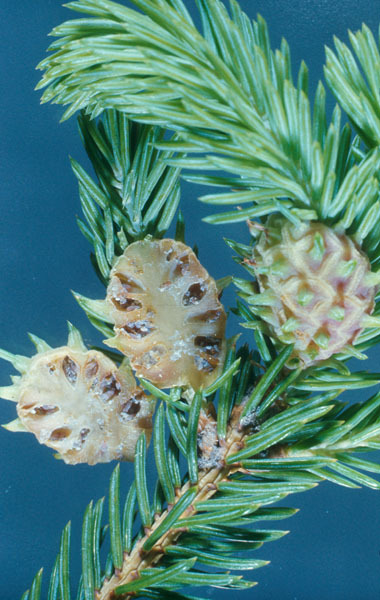 An introduced species from Europe, the eastern spruce gall adelgid has been recognized as a pest of ornamental spruce since the 16th century in Europe. 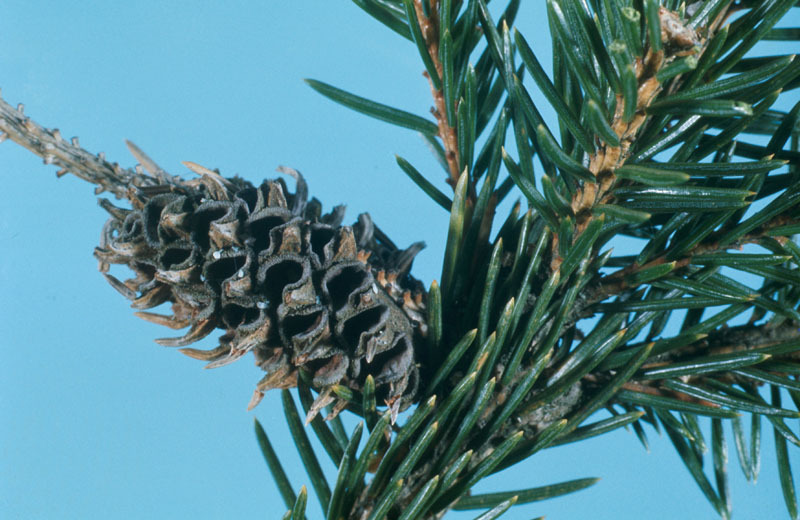 It was introduced from Europe prior to the 20th century and has since spread across the northeastern United States and southern Canada, to North Carolina. 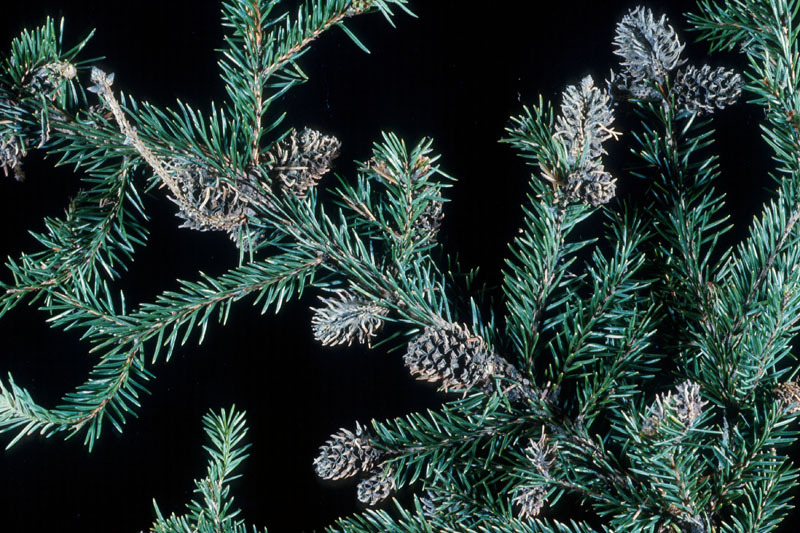 The adelgid is not common in the Maritimes or Newfoundland, whereas in Quebec and Ontario, it has wreaked considerable damage, particularly in 1941, in the southern part of both provinces. A silvicultural method of control consists in cutting infested twigs and galls in mid-summer and destroying them (preferably through incineration) before the nymphs emerge in August.